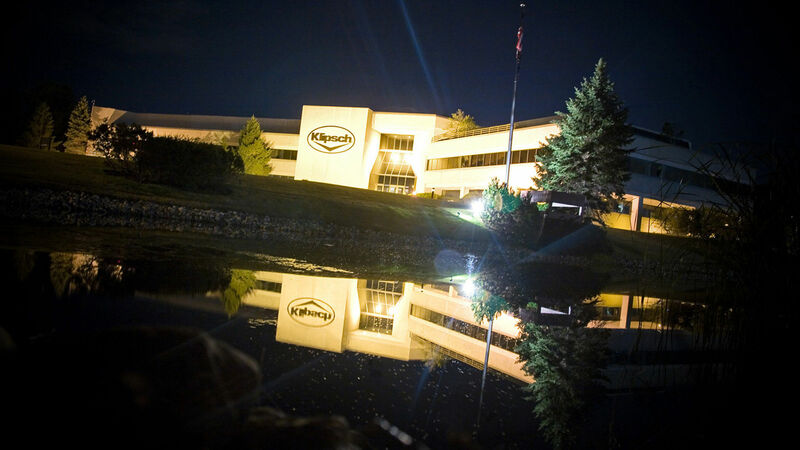 The Klipsch worldwide headquarters building in Indianapolis, Indiana features a state-of-the-art audio research and development facility. Dubbed The Klipsch Engineering and Technology Center, it is one of the most advanced audio facilities in the U.S. It boasts two anechoic chambers (echo-free rooms), digital electronics workstations, a full-featured transducer lab, an engineering model shop and an industrial design lab. But it's not where our story begins. 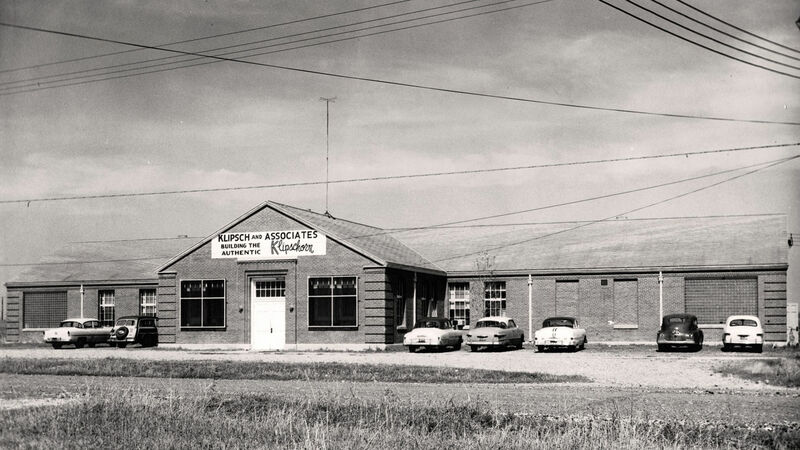 After nearly 70 years of producing premier, high quality audio products, it is hard to believe that the world’s leading speaker manufacturer’s story began in a tin shed in Hope, Arkansas. By way of an eccentric spirit, ambitious character and a little bit of hope, Paul W. Klipsch began a mission to change the standard of sound forever. Today, his mission continues just where it started. 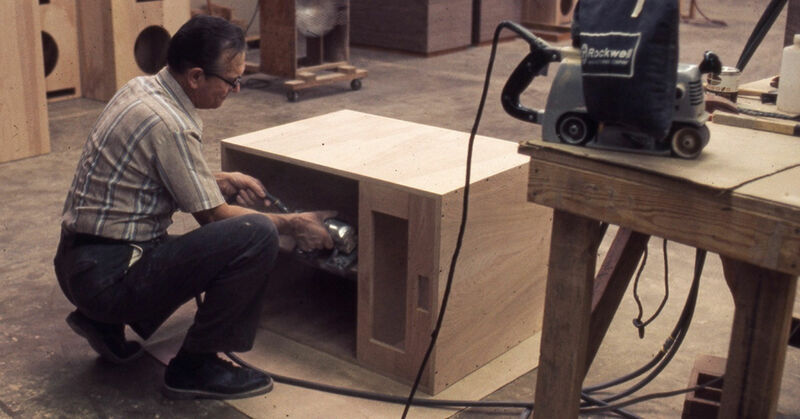 In 1946, following experience in numerous electrical engineering careers and service in the U.S. Army during World War II, Paul W. Klipsch had finally perfected his corner horn speaker design. 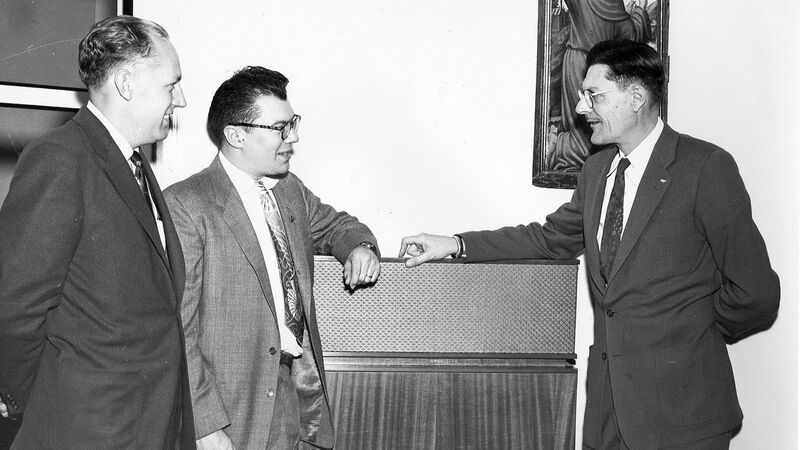 After receiving a patent and registering the name Klipsch & Associates, he began manufacturing his loudspeakers by hand in a small Hope factory. The Klipsch Heritage Series, Professional, THX Ultra2, Palladium, select Reference II as well as many of the professional and cinema speakers are still assembled, outfitted and finished by hand and never with the assistance of robotics in Hope, Arkansas. Depending on the size and complexity, Hope-assembled speakers can take anywhere from 40 minutes to 12 hours to complete. 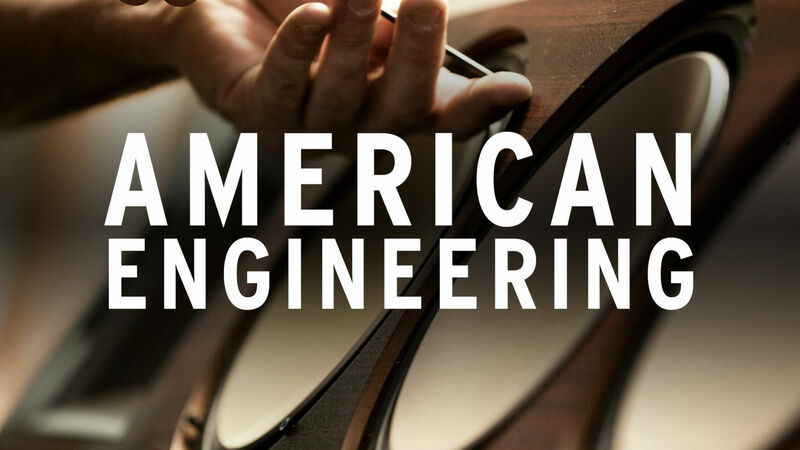 Each and every one of Klipsch employees take personal pride in the hands-on process, world renowned quality and sound reputation of Klipsch audio products. This is not just a job. It is a lifelong commitment to brand excellence. 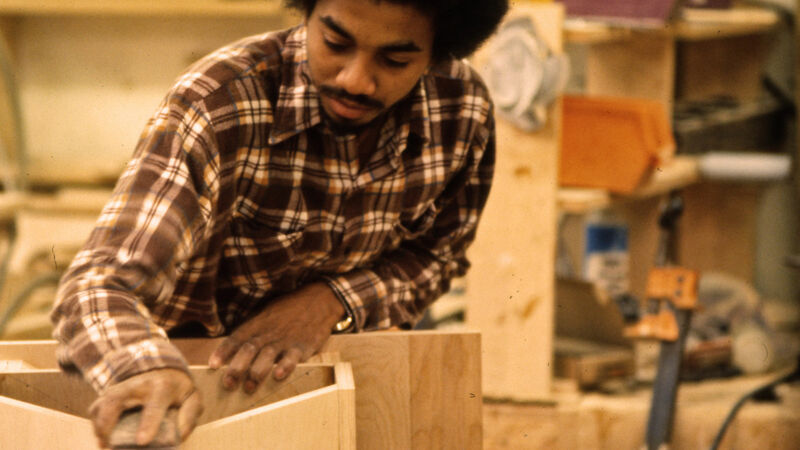 Every new speaker that has the Klipsch logo bestowed upon it is designed and engineered with pride at our worldwide headquarters in Indianapolis. Our team of engineers and product managers put their heart and soul into each and every one of our products, whether it be our smallest in-ear headphone or our biggest floorstanding speaker. 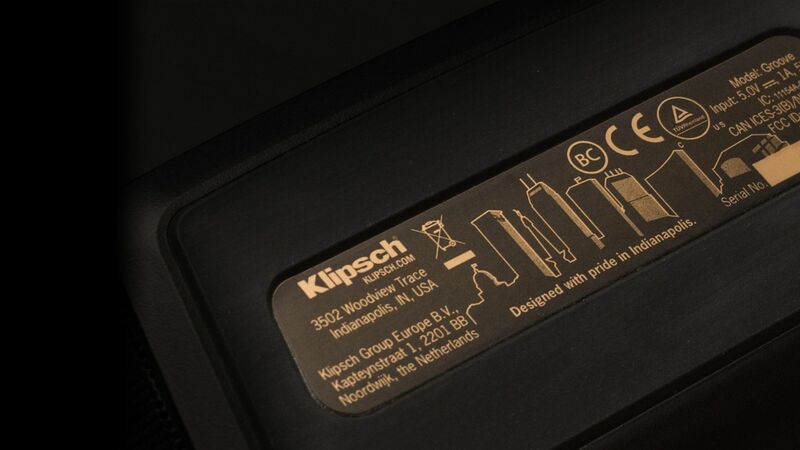 For the launch of the Klipsch Groove, we stamped the Indianapolis skyline and "Designed with pride in Indianapolis" on the bottom of the speaker.